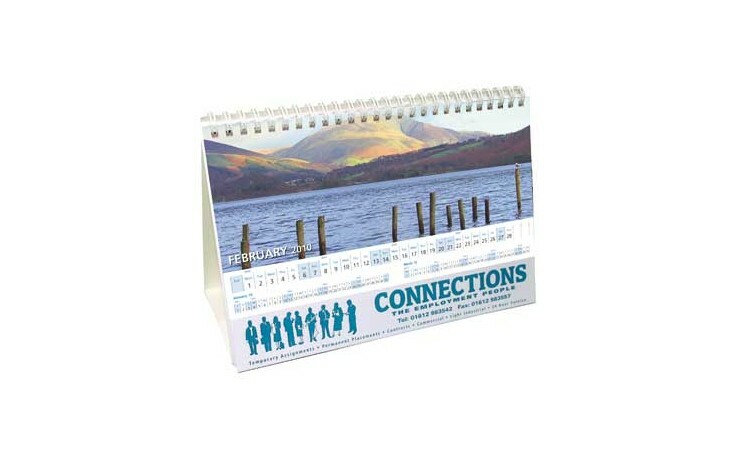 Show off your images with our Panorma Easel Calendar. 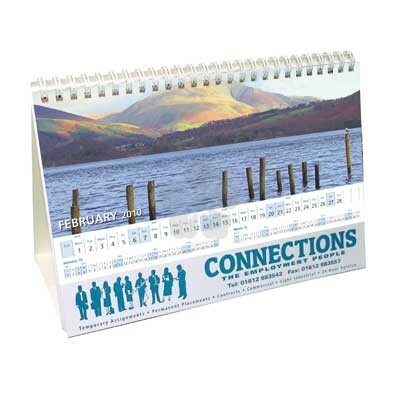 Contains 14 sheets of white 170gsm paper printed with a four colour process standard design, 14th sheet personalised to one side to customers own specification in one colour. Bulk packed with white peel-and-seal board envelopes supplied separate.